Social media and live streaming services are changing the way we watch everything. Why pay for cable when you can get what you need for $7.99 a month. While we stream movies on laptops, tablets, and smartphones, and use services like Amazon, Netflix, and Hulu to binge watch entire seasons of our favorite shows, traditional cable providers are losing market share. What is a lonely cable company to do? Why add a home security feature of course. Now you may be thinking “what does a cable company know about home security?” and I am kind of with you on that. 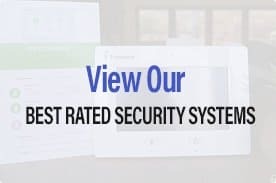 But before you write them off, there are some things that make home security services a viable option for companies looking to boost revenue. 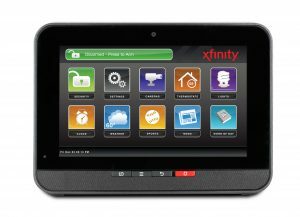 AT&T, Cox and Comcast are a few of the higher tier providers that have added or are in the process of adding new home security and home automation services. Here is what we know and what we think about each one. Cox Homelife is the first one on the list, while no cable company seems to be overwhelmed by positive reviews and ecstatic customers, some are less popular than others. But let’s face it when it comes to hated companies, cable providers always seem to rise to the top of the list. By launching Cox Homelife they are hoping to earn your favor. But before they get started they need you to pay the installation fees, there are two fees you will need to pay to get your Homelife system going. The first fee is the $49.99 for installation and the second is the $50 activation fee. So, while most companies have a $99.99 installation fee, and no activation fee, Cox charges you the same amount but they split it between installation and activation. You will also be asked to take a credit check, so you may want to check your credit before you complete your application. Most companies will do this, so just be prepared its standard, so if you aren’t sure about having an inquiry on your credit report you may need to look for another option. But before you swipe left when it comes to services, Cox does provide competitive offers and decent services. If you are an existing Cox customer you will receive better offers than the ones provided to non-Cox customers, but once you become a customer you can start receiving the same offers. 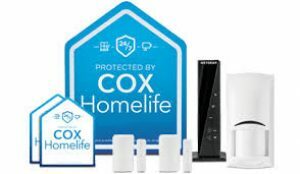 Cox offers two packages for their home security service, the Essential Package, and the Preferred Package. You can also add additional equipment like glass-break sensors and a wireless keypad that you can manage from outside of the house, you will pay for the additional equipment but if you want to add devices, it’s easy to do. One area of concern is the customer service provided by Cox, they are consistently rated at the bottom when it comes to how they take care of their customers. Reports of rudeness and endless transfers can be found on almost every customer review page. They are also known for changing fees without notice, so if you do choose Cox Homelife you need to make sure that everything you agree to is sent to you in writing before you sign up. 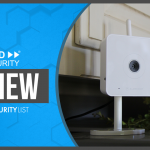 Not to be left out of the home security and automation market, that seems to be growing quickly among phone and cable companies. 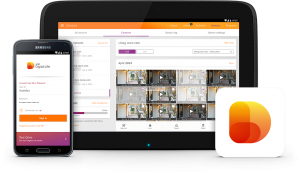 AT&T Digital Life is bringing both smart home automation and home security together in one package, well in three packages if we are being exact. 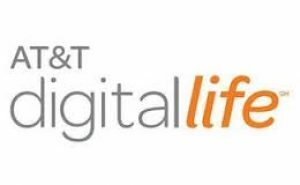 While AT&T Digital life has arguably more potential than some it’s competitors, it still needs to make a few improvements. What it does better than others can be found in the equipment provided and the lifetime warranty that comes with it. It is a refreshing thing to see a warranty that makes the same commitment that you do to your spouse, let’s hope they both work out. When it comes to equipment there is quite a bit to choose from. There are three core packages, Smart Security, Smart Security and Automation and Premium Security and Automation. Each one adds additional features up until you reach the premium level. These are the current packages and what they offer. One of my favorite things about Digital Life is that when it arrived I didn’t have that cringe-worthy moment when you open the box and everything looks like inexpensive white plastic. While each package comes with a set amount of devices, you can add additional devices like flood sensors, smart door locks, smart outlets and cameras that can allow you to create a more robust home security system. AT&T is designed to work with every home, which is one of the primary advantages that Digital Life holds over more simple DIY providers like SimpliSafe or Scout. Now I am not dissing DIY home security options, so before you start commenting that I am anti-DIY, I am not. I love how DIY companies make home security available to all. But when you aren’t a start-up and you are backed by name recognition and tons of money, there are some clear advantages. While being able to easily upgrade and add new equipment is a great benefit, it is not the only benefit you get with AT&T Digital Life. You also get a professional monitoring center that is there for you 24/7. This may not seem like that big of a deal, as it is a common feature, even among some of the DIY systems like Scout and Simplisafe. 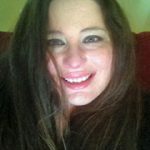 But it is a nice feature to have, and if you have a DIY setup that just sends you a push notification to tell you that you should call the fire department, you will appreciate the added benefit of a 24/7 manned monitoring center. You have to use Time Warner internet to add their home security services. Comcast is the only cable provider in the small town where my mom lives. And to say she loves them would be a lie that would most likely get me grounded. But I am willing to give Comcast the benefit of the doubt when it comes to Xfinity home. While it seems like most customers have a love/hate relationship with them, I can give them a fair shake, as I have never used them. I had my mom update her services (I paid the difference) so I could see the process from order to fulfillment to function. I didn’t know anyone with AT&T or Cox, and while I have Spectrum which now owns both Time Warner and Brighthouse (my provider) Brighthouse doesn’t offer home security services. So the one I know the best is Comcast. Ordering wasn’t as easy as I thought. The person I spoke with didn’t seem that educated about the products, and the prices weren’t as she described, they were a bit higher than the original quote. My mom complains a lot about her internet. It goes in and out. So that was my first concern when it came to Xfinity home security. But luckily they seem to recognize the issue because they have a cellular back-up for all of their Xfinity Home plans. Unlike its two challengers, you don’t have to use Comcast’s Xfinity high-speed internet, you are free to use your own provider. You can also bundle your home security with your television, and the internet and get a pretty good discount. The current offer from Comcast is called “Home Secure”, Home Secure is the same as a product called 300 which was an older service that had a 300 and 350 package offering. While 300 had a set price, Home Secure states that this plan is a starting point. We bundled Home Secure into my mom’s existing service which increased her bill by $39.95. Installation day came and it was annoying. I lost confidence in the tech after hour two. My mom had their internet and cable, but installing Home Secure ate up most of the day. I would have asked for a refund, but while he took forever the tech was very nice. Once installed I was surprised by how well the equipment worked, we received a touchscreen controller, three door and window sensors, a wireless keypad and a motion sensor. Because I am paying this part of my mom’s bill, I didn’t add anything additional. If you start with the basic package, you can add on additional equipment as you can afford to, which is a nice option for people just getting started. If you don’t want to pay for the additional equipment, and you have existing security devices that may be compatible with Home Secure you can use them. I had purchased a camera for my mom last year and the tech (he really was nice) set it up for us and connected it to the touchscreen command center. One month in and we have had three outages, one was significant and lasted for a few hours, the other two were pretty short. My mom is keeping a log for future reference. She seems to like it, and she is a master at the touchscreen. She actually read the entire Apple pamphlet that came with her phone, so she is a pretty tech savvy senior. The equipment has worked well, and when we intentionally tripped the door sensor, the monitoring center called her immediately. Which was nice. You have to use Comcast internet to add their home security services. Smart home security has become one of the fastest growing industries around. So it is only reasonable that the giants of tech are taking notice and including home automation and home security options to their customers. What we like about AT&T Digital Life is first and foremost the technology. Nothing is worse than ordering your home security devices, to only get a box of outdated basic looking sensors and alarms. AT&T is invested in putting together packages that allow you to start small with some pretty decent equipment that can get you up and running quickly. They also install your new home automation and security gear for no additional charge. So not only are you going to get some solid gear you will also have that gear installed by a professional. Which means less work for you. Which is always nice. Another reason that we like Digital Life is how easily you can upgrade your packages. It is really a program that grows with you. They also allow you to upgrade without a fee, which makes it easier when you want to add a few new devices to your current setup. You can also purchase additional equipment that you can add without upgrading. You can buy a la carte equipment like glass break sensors, CO (carbon dioxide) sensors and even thermostats and cameras. So if you like the package you are in, but you want to add an outdoor camera, it’s easy to do. AT&T Digital Life has a reasonable two-year agreement, so you aren’t tied into a five or six-year commitment. There may be fees for early termination, you will be made aware of any additional fees at the time you are placing your order. You can also purchase packages to compliment your current agreement. These include Video Camera, Door, Energy and Water Detection packages. Digital Life is built to grow with you to allow you to add both home security and automation services that fit your budget, which makes them very likable. No smart home security service is perfect, but AT&T Digital Life tries harder than the others. Why we think you should give your cable company a second look. We know that cable companies aren’t the most popular girls at the dance. But adding some home security may make them look a bit better. When it comes to home security cable companies have some distinct advantages. If you want a professional monitoring service getting one from your cable provider is a good idea. Not only will you get decent service, you can also get everything on one invoice. This will save you time, and depending on your carrier, it might save you money too. Most of us get our cable and internet from one provider. Which means you can easily increase your speed to accommodate their home security devices. You know they can staff their monitoring service. Which means when you call, or your equipment calls someone will be there. Smaller providers may struggle in the beginning, but your cable company has the ability to staff their monitoring center. While we love AT&T Digital Life for their lifetime warranty, most companies of their size will have decent warranties on the devices and equipment they send. This may not be true with every company, but most cable providers don’t make you front the money for the equipment. Which makes it easier to build a robust home security system. When you order your system over the phone.